Sepang (Malaysia) (AFP) – Formula One rookie Pierre Gasly revealed he only found out he would make his Toro Rosso debut at this weekend’s Malaysian Grand Prix on Monday — and via text message. Gasly, the 2016 GP2 champion from France, has replaced Daniil Kvyat in the Red Bull junior team for at least the next two grands prix. 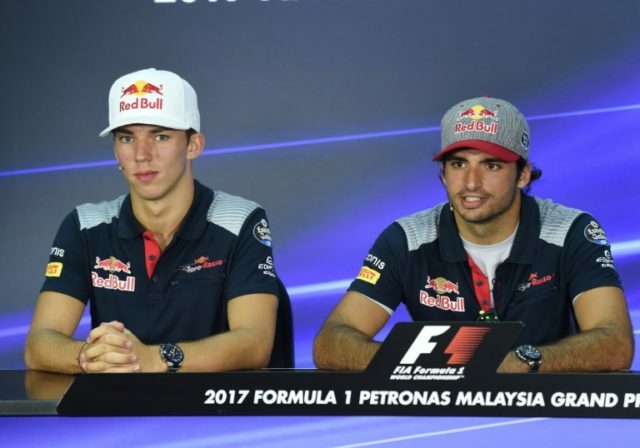 “I travelled from Tokyo on Monday to Malaysia, and when I got here I received a text saying that I might be driving this weekend,” the 21-year-old Gasly told reporters on Thursday. “I got really excited about it. I tried to sleep on Monday night, which was a bit difficult, with all the excitement. Gasly now has a chance to earn a full-time seat for 2018, when teammate Carlos Sainz moves to Renault, but he said he wasn’t thinking that far ahead. “I’m just fully focusing on the weekend, trying to do my best and learn as quickly as possible,” said Gasly. Gasly said he felt sorry for Kvyat, who last season was displaced at Red Bull by the teenaged Max Verstappen and now has seen his Toro Rosso seat taken by another youngster. “Unfortunately that is how it works in this sport,” said Gasly. Sainz said he was confident the young Frenchman would be up to speed quickly. “I’m sure Red Bull would not put anyone in the car who is not capable of being on the pace straight away,” said Sainz.